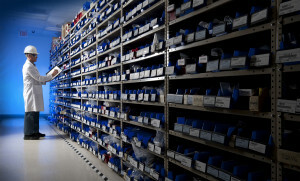 The efficiency of storerooms and inventory control is often ignored in British manufacturing, according to a report by industrial services company ERIKs in conjunction with The Institution of Engineering and Technology (IET). Andy Silver, customer service director, ERIKS UK, said: “Nobody can deny that UK industry is now among the most efficient in the world. However, we are concerned the performance of storerooms, or ‘factory stores’, has not kept pace with advancements in British manufacturing and is seemingly incapable of satisfying the demands of engineering.